Does Certification In Salesforce Matters? In the present modern world, every business depends on big data computing to improve their business and take it to the next level. This is happening with a low budget for the enterprises. The cloud computing platforms have enabled them to use with the internet technology. Today, there are many tools for business. The Salesforce is one of such Marketing Cloud, which gives emphasizes on customer relationship management (CRM) or client relationship management. Since the past two decades, the Salesforce platform has enabled many small to big, sized industries to drive their sales through the proper channel. It has widened the space for the digital marketing concept. Today, every company hire the Salesforce certificated professionals in their IT and sales unit. The Salesforce certified administrators could earn a high salary. It is advisable to complete Salesforce administrator certification course from a reputed institute. Salesforce is a business tool having its uniqueness in the field of sales and marketing. Salesforce develops it in the year 1999 in the USA. It is one of the fortune companies among the cloud computing companies in the USA. 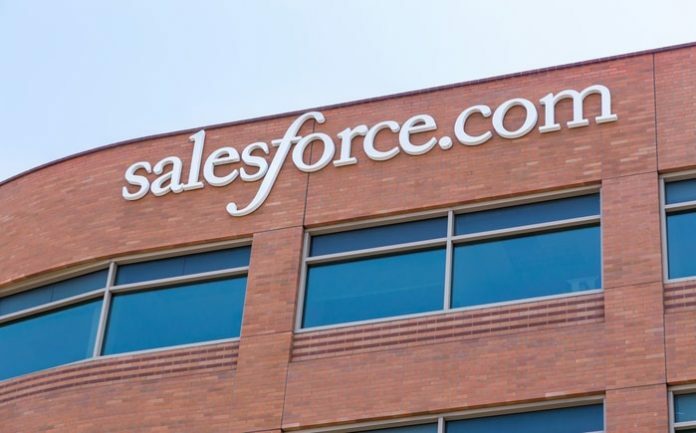 It sells its Salesforce platform software and cloud computing services. It is available as Software as a service (SaaS). This enables any business to work on this platform from any location of this world. It is majorly in use on CRM and after-sales services. Today, every business hire Salesforce certified administrator to look after this Marketing Cloud platform in their business. All top-notch companies hire Salesforce certified administrator, developers, and consultant only. Why Salesforce certification and training in necessary in sales and marketing filed? The Salesforce, which is also familiar as SF or SFDC, is global software. Majority of the companies use this to check their sales activities through this platform. The knowledge of Salesforce tools is necessary to work on this platform. An employee must know who to use its tools in sales analytics. The aspiring Salesforce trainee must know Salesforce Administration courses. A salesperson can track the sales and after-sales services efficiently. The marketing people can reach the right customers with the help of CRM tools. The sales and marketing professional can bring new customers and increase the revenue of the business. You can get Salesforce admin certification and train through offline and online. The working professionals can prefer online training and certification in Salesforce Admin if they do not have time to undergo classroom training. It will be better to master this software from Salesforce authorized training centers only. A proper training of Salesforce from a professional institute will give you live projects. It will make you confident to speak about Salesforce in the interview questions. A valid Salesforce certification will enable you to get this most demanding job in all industries. Is Salesforce administrator certification worth it? The Salesforce administrator certification is worth to join as Salesforce Admin. In the present world, the customer is the king. They are deciding what to buy and from where to buy. They do this within a fraction of seconds by using the internet. They do much research than a company. The Salesforce admin can track all those inquires happenings over the web. They can compute them and get the desired result for what a customer is looking for a product or service. The Salesforce admin can channelize them with using the Salesforce tools. A company will hire a Salesforce certified professionals only. They may be new or experienced one. He or she must have proper certification and training in Salesforce to join a company. The people working in the sales filed can add additional qualification and can get business analytic jobs in the same company. Which Salesforce certification should I get? The next question will be of which Salesforce certification is the best. It depends on your educational qualification and the filed you work. However, the Salesforce is for technical and non-technical people. The new job seekers and people working in sales filed can select the non-technical courses in the Salesforce. The people with software development knowledge can go for developer certification. A person who has mastered the Salesforce can work as a consultant too. It is also the best for people working in customer service and sales jobs. However, you must go for proper certification and training in Salesforce, which matches your field of a job. The people interested in the analytic filed can master it to work in sales and marketing unit. It is also an ideal course for data scientists and people interested in the computing field. The jobs available are in admin, development, sales, CRM and as consultants. There are many niche training centers and professional training institutes. It will be a daunting task to find the authorized training center for Salesforce. The pass out students and studying students can attend classroom training and certification in Salesforce. However, you must verify those institutes reputation and join where project training and placement opportunities are there. You must search for the top 10 Salesforce training institutes in your place and join a top rated institute. The working professionals and busy people can go for online training and certification in Salesforce. Few of the professional training institutes offer classroom and online training. There are also institutes, which provide online training only. The people willing to do online certification in Salesforce must join in a trusted online learning portal. This is because many scams are happening in online tutorials. Those training will not worth what you have paid for the course. Moreover, their training and certification are not valid too.